Tribute in Light atop the Battery Garage on Morris Street. 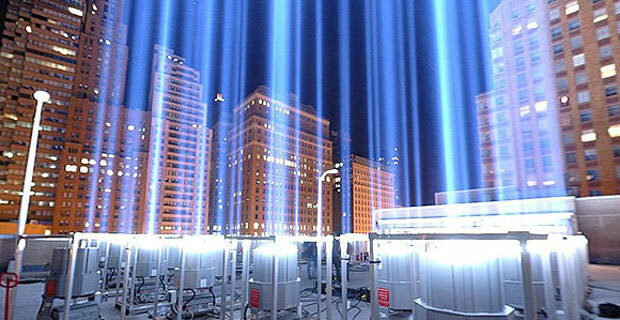 Tribute In LightÂ will shine from Dusk to Dawn to honor all those who lost their lives on September 11, 2001 and to serve as a symbol of hope for the city of New York. An iconic gesture of remembrance is officially deemed a public artwork installation supported byÂ Governor Cuomo, Mayor Bloomberg, the Lower Manhattan Development Corporation, Battery park City Authority, The Municipal Art Society, and all the public, corporate, and private sponsors. When not in use, the entire installation is stored within the Battery Park City Garage until their annual commemorative use. The blue beams, which are reported to beÂ visibleÂ for 60 miles, are comprised of 88Â separate 7,000-wattÂ searchlights, which are powered by a gas-run generator housed in a tractor trailer just outside of the parking garage. Although internationally renowned as a symbol of the 9/11 attacks on the World Trade Center, The New York City Audubon Society notes warnings on their deadly effects on migrating birds. This year, the Municipal Society has promised to monitor the art installation for this concern and will shut off the lights to mitigate the danger the beams cause to the migratory patterns. When we first opened our digital doors to the community as Battery-Park.com, we knew that we wanted to help give a platform to our community by the time of the 10th anniversary of the 9/11 attacks. With very little money, but a lot of passion, we’ve worked hard to build the site and bring information to our neighborhood. 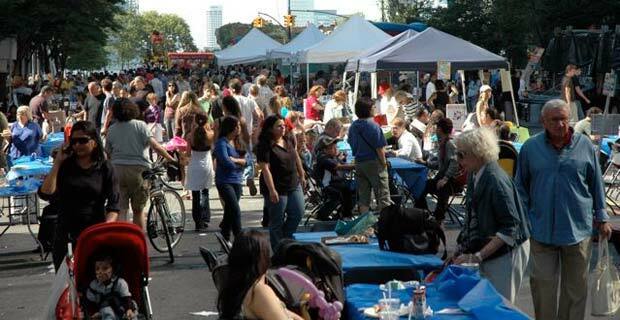 The core reason we launched BatteryParkCity.com was to create a digital community to connect the neighborhood that we love. In the past year, we’ve gotten to know our neighbors better through this site, Facebook, and Twitter. A growing percentage of our readers are viewing the site through iPads and iPhones. Our contributors and writers have experienced some speed bumps in terms of publishing posts. So we went back to the lab and tried to accommodate for the growing pains and learnings. Today, as our way of honoring the community on the 10th Anniversary of September 11th, we mark the official relaunch of BatteryParkCity.com. Facebook Connect: We love all the Facebook comments we receive, and its become a huge part of what makes our site great. So we’ve enabled a way to offer seamless commenting for our FB friends. Redesign of our Newsletter: We’ve redesigned and updated our newsletter to offer more news/alerts/events/promotions for those who want the information as fast as we get it. Please sign up if you aren’t already receiving it. BatteryParkCity.com will be offering free advertising support for selected businesses who have served our community since September 11th, 2001. As a community we rely on you to help serve our neighborhood. Several great and beloved businesses within our community have lost their fight to stay here. This year alone we’ve watched more than a handful of our favorite businesses shut their doors for good. We always envisioned BatteryParkCity.com as a means to help our community — residents and businesses alike — to stay committed to the resurgence of the neighborhood. 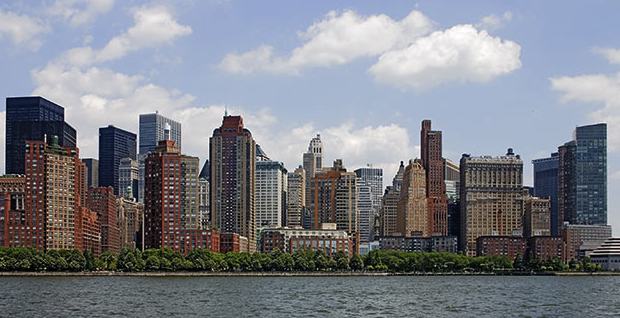 We hope to be able to lend a hand and provide support for those small business owners who share our unending commitment to Battery Park City. Interested businesses should contact us. We were never here to make money: We’re here to make a difference. We hope that together we can do that. The fireworks set me off tonight. For an eve that I’m sure most of us have reserved for quiet contemplation, arising with the dissonance of speedboats and now the thunderous boom of fireworks before we rest our heads. The commemoration seems a bit excessive. It Â has been voiced today that for most of us who have lived through the attacks on the World Trade Center – the spectacle is not necessary as much as the ability to have calm reflection with ourselves and our family. Every year since the attacks — and now 10 years later — our neighborhood transforms into a media spectacle. Satellite trucks beaming the signal into the stars – the echos of the reading of names. Each syllable tears open old wounds. Yes, a decade old but surprisingly fresh – the way we celebrate and mourn is almost like pressing a rewind button back to 2002. In 2002, for the first anniversary of the 9/11 attacks, the Red Cross was on hand – deploying an army of volunteers to simply hand out pocket tissues. They have not returned since, but in someway it probably wouldn’t hurt for them to come back tomorrow. This year, will mark the launch of the 9/11 Memorial. Here is to the hope that Â with this unveiling the commemoration events will change. Our neighborhood has been slow to recover — but inevitably the renaissance is around the bend. Would it be wrong to also call for a renaissance of the way we commemorate? 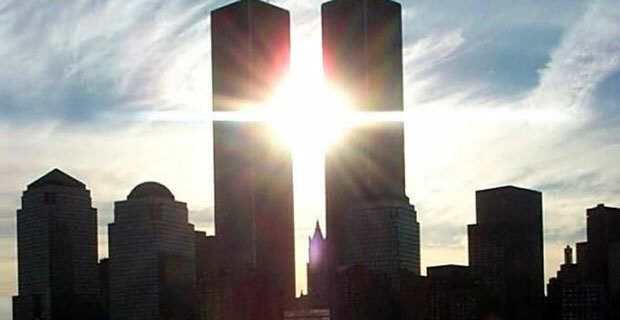 We should never forget — but does that mean we have to relive?Â Â The increased terror alerts, the carrying ID in and out of the neighborhood, the shutdown of access to the area, the reading of the names, the images, the interviews, the documentaries – to be parsed out every minute on 9/11 — for the rest of our lives? What will happen when the generation born today, will be the media makers of tomorrow? Will they be able to strike the balance and present to us the images and stories in a way that won’t offend the sensitivities of the generation that has lived it? To balance the equation of sensationalism, media, commemoration, ratings and patriotism – currently has no solution. Tonight I will fall asleep and I will dream that tomorrow we will turn a corner in the way we remember – for a 9/11 commemoration that helps to heal more than hurt. Speedboat Race?! 9am?! For September 11th Victims?! Really? Our neighborhood is on virtual lockdown and our defenses are up due to the heightened terror alert. That didn’t stop a disconcerting dissonance from erupting on New York Harbor. 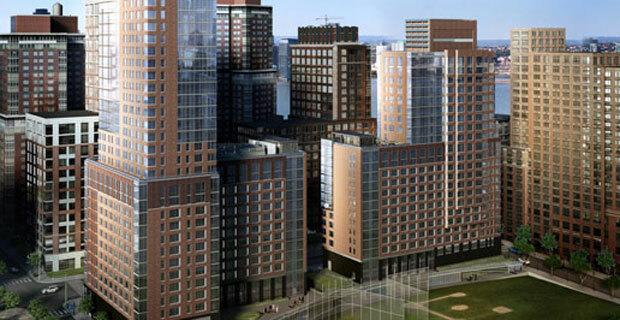 At 9am this morning, loud roaring noises could be heard at virtually every point of Battery Park City — with most residents not having any forewarning to the commotion. 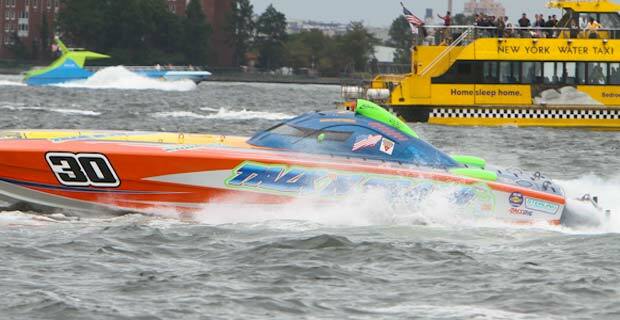 Apparently Super Boat International want to disrupt any sense of calm and safety before the anniversary of 9/11 by holding the 21st Annual New York Super Boat Grand Prix right outside our windows. For those of you who are not right on the water’s edge, it sounds like you’re on the sidelines of an Indy 500 racetrack. Ostensibly, the event is being held to commemorate 9/11. The raceÂ gives off-duty Coasties a chance to race around New York Harbor with gross indifference to the thousands of those who live in our area. Gee, thanks Super Boat International. 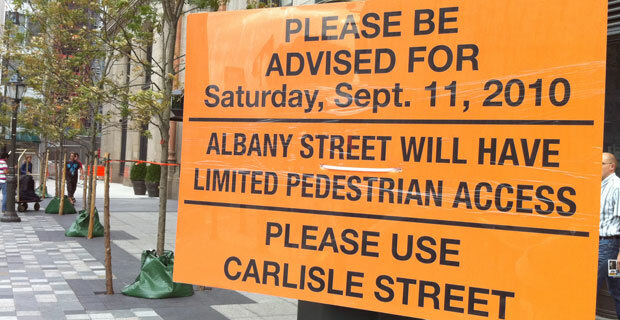 Pedestrian and traffic changes during week of 9/11 anniversary. The City is preparing for the annual September 11th commemoration ceremony at the National September 11 Memorial at the World Trade Center site. At this time, we would like to share with you detailed information regarding the upcoming ceremony, including street closures, traffic, parking and pedestrian impacts. The commemoration for family members will take place on Sunday, September 11th from 6:30 AM until 4:00 PM. Following a moment of silence at 8:46 AM, the names of the victims will be read with music as a backdrop throughout the program. Additionally there will be a total of five moments of silence: 9:03 AM, 9:36 AM (Pentagon), 9:59 AM, 10:03 AM (Flight 93), and 10:28 AM. During the ceremony, families will be allowed to visit the 9/11 Memorial for the first time. The Tribute in Light will begin at sundown. Avoid scheduling deliveries on Sunday, September 11th until after 8:00 PM. Residents and employees should carry verification of home or business address at all times. Minimize car service pickups on September 11th. 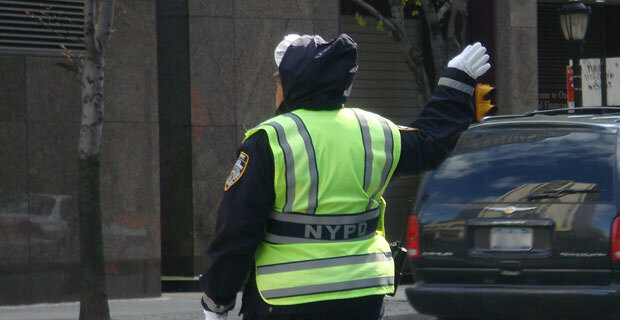 Traffic along Broadway is expected to be heavy. MTA passengers should plan for the Cortlandt Street R station to be bypassed from 7:00 AMto early afternoon and check the MTA website at www.mta.info for updates on bus routes and service. PATH passengers should plan for suspended service to and from the World Trade Center and restricted access to the WTC Path Station from approximately 7:00 AM to 11:00 AM. Northbound West Street between Battery Place and Murray Streets will be closed to traffic from Friday, September 9, 11:59 PM through Monday, September 12, 5:00 AM. Church Street/Trinity Place between Rector and Barclay Streets will be closed Sunday, September 11, 5:00 a.m. through 5:00 p.m.
Broadway will remain open to vehicles.